I was going through my music, and noticed the little parental advisory content bar in the corner when I was listening to a song. I automatically thought of the lecture we had about parental advisory and who should be the judge of the content of the song. 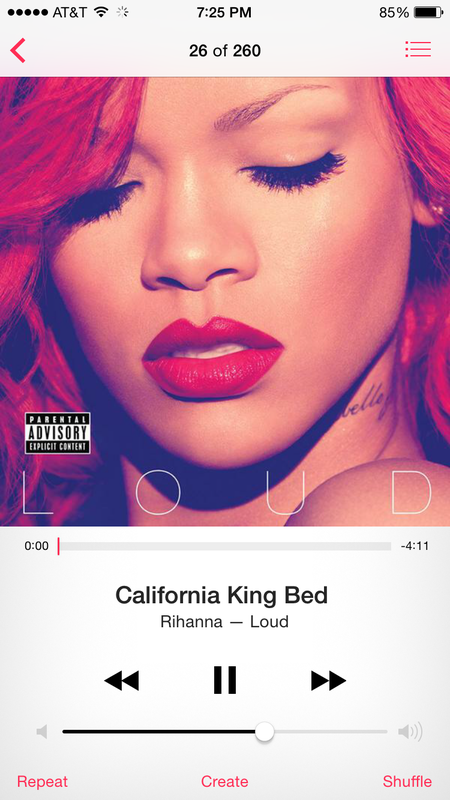 However, I do not think this sign should be on this song because come on its RIhanna and its called “California King bed” What could be so bad?